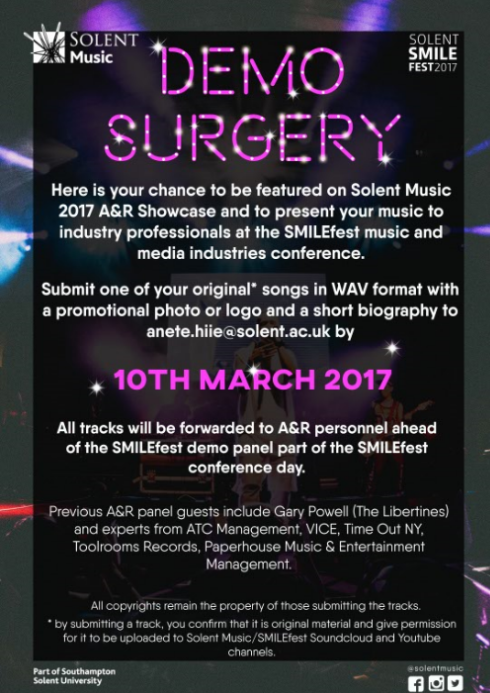 Demo Surgery is Solent Music’s showcase part of SMILEfest conference day where an industry A&R panel listens to your music and gives feedback. This year’s applications are open. 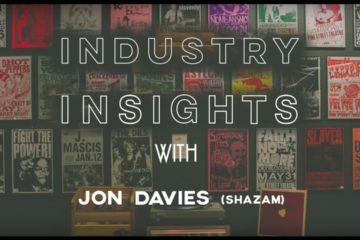 Submit your original song in WAV format with a promotional photo/logo and a short bio to anete.hiie@solent.ac.uk by 10th March 2017.